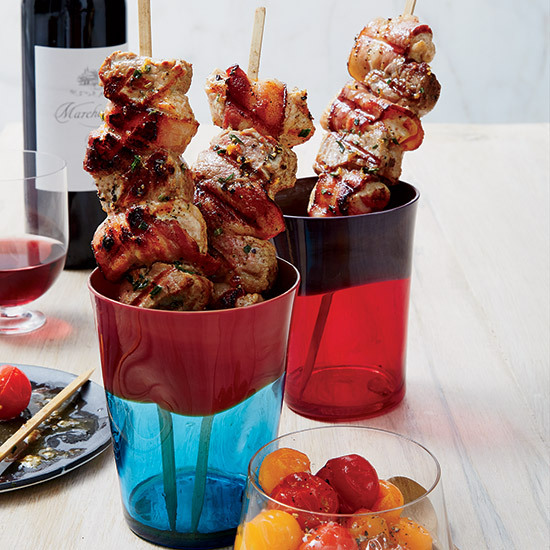 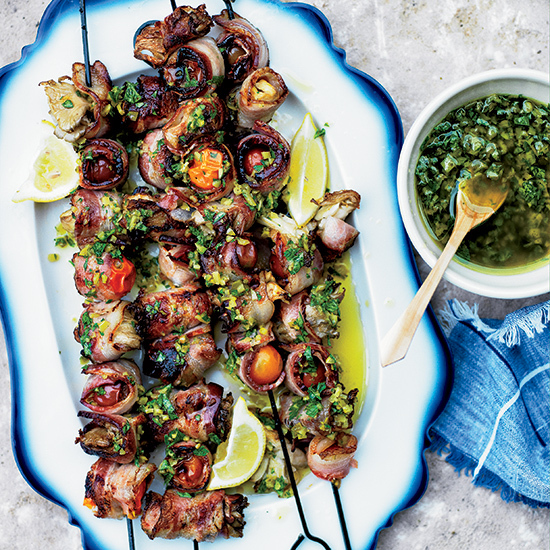 Chef Matteo Gambi grills these marinated pork and bacon-wrapped turkey skewers for a great charred flavor, then finishes them in the oven to keep them juicy. 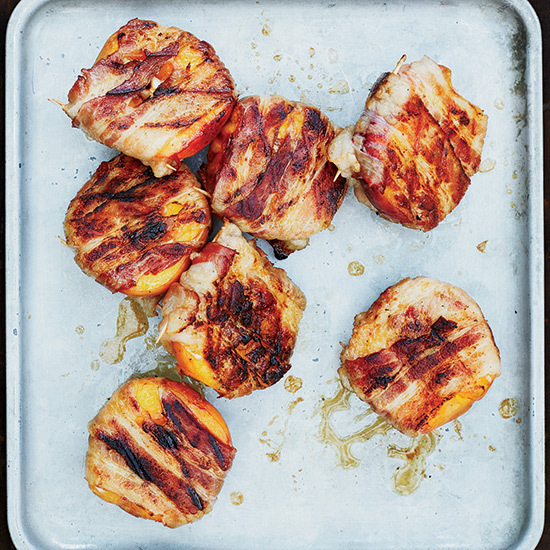 Brooklyn butcher Tom Mylan likes wrapping sweet, juicy peaches in bacon and grilling them until they're nicely charred. 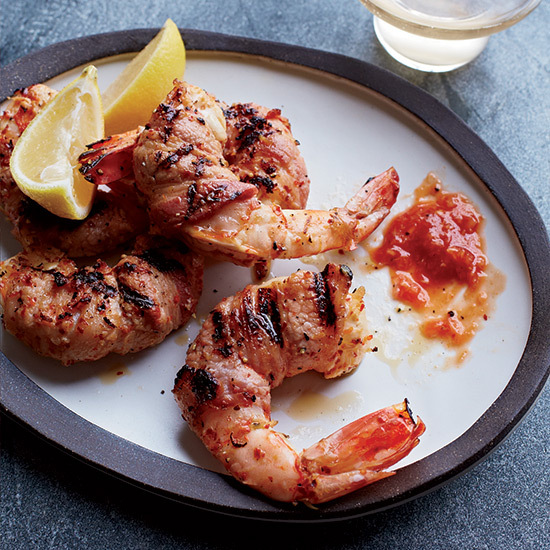 The secret ingredient, he says, are the grilled scallions tucked into the peach pit nook, "for the win." 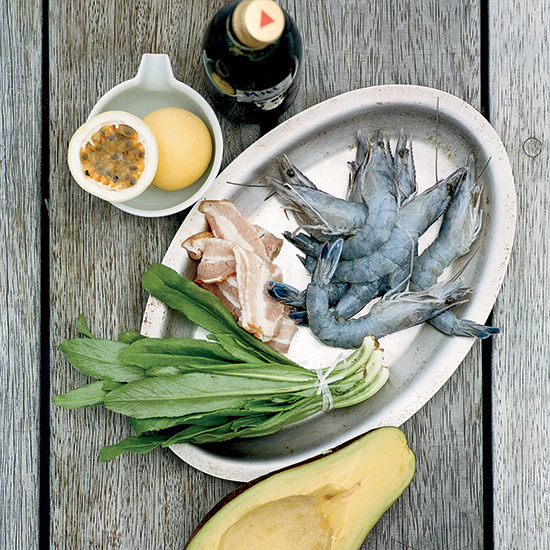 Passion fruit juice gives the mustard sauce in this recipe a tangy, tropical kick.